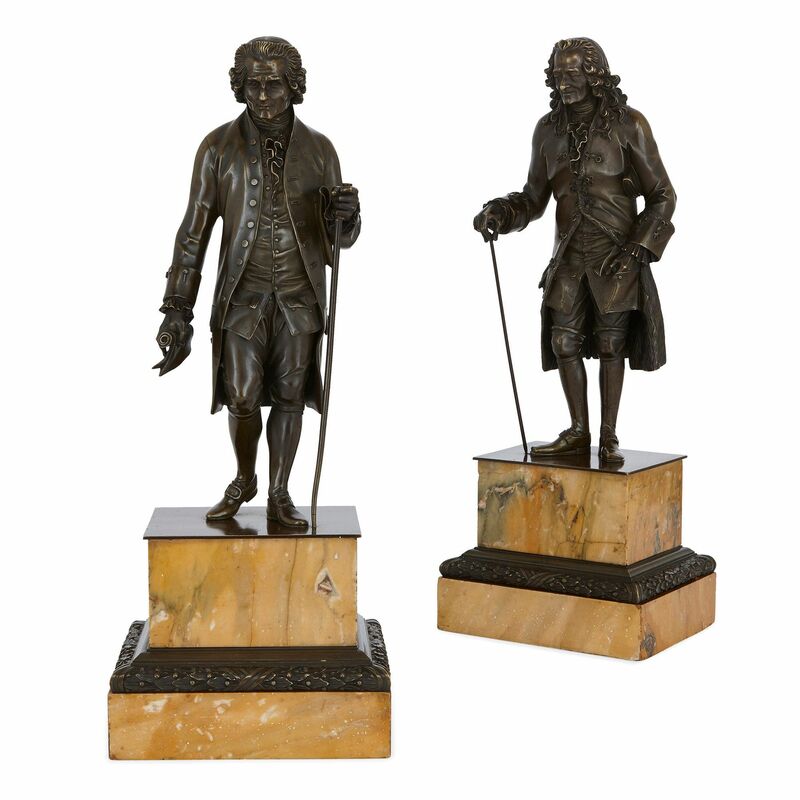 Based on designs by the prestigious sculptor, Joseph Rosset, these bronzes depict the influential Enlightenment philosophers, Rousseau and Voltaire. These bronze sculptures depict the two leading figures of the French Enlightenment, Jean-Jacques Rousseau (Swiss, 1712-1778) and François-Marie Arouet, who was widely known as Voltaire (French, 1694-1778). Rousseau was a philosopher and writer, famous for his political texts, ‘Discourse on Inequality’ and ‘The Social Contract’. Voltaire was also an important philosopher and writer, and an advocate of tolerance and social justice. 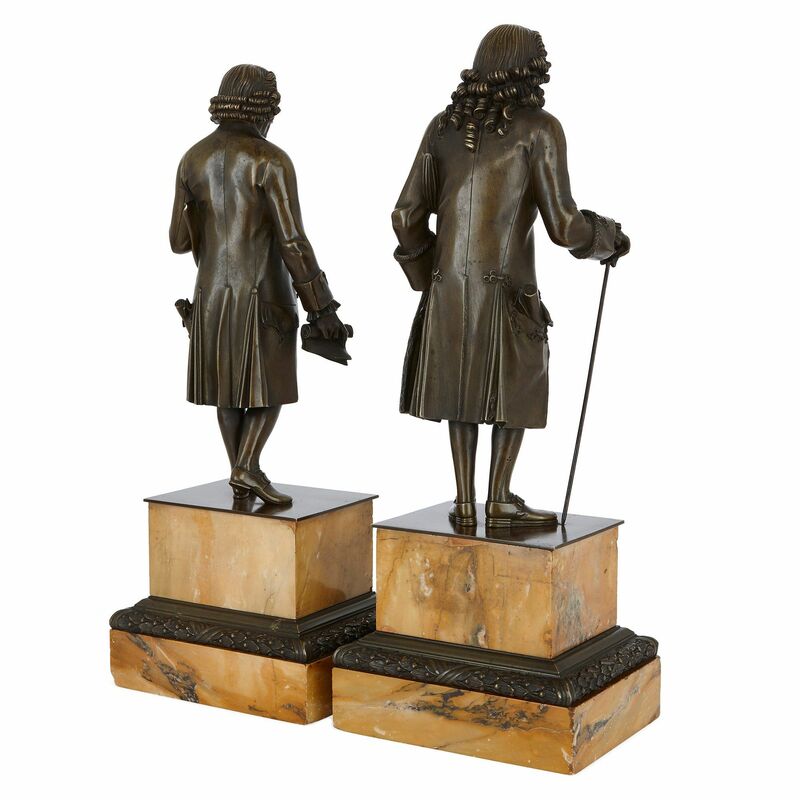 The figures are based on designs by the famous sculptor, Jean-Claude-Francois Joseph Rosset, who was active in France in the 18th Century. 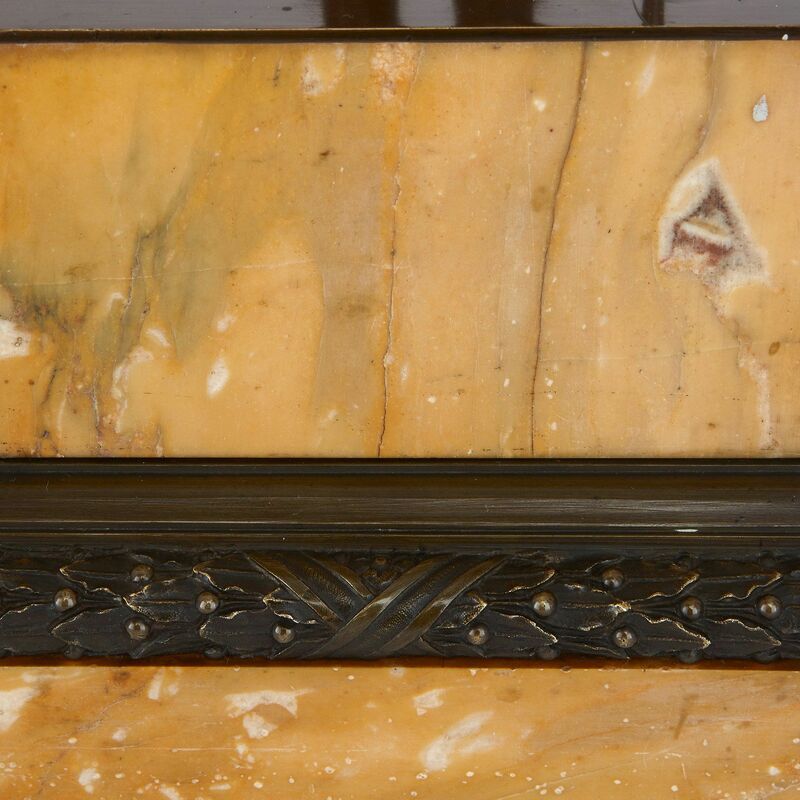 Joseph Rosset worked closely with his two sons, Jacques-Joseph Rosset and François-Marie Rosset. 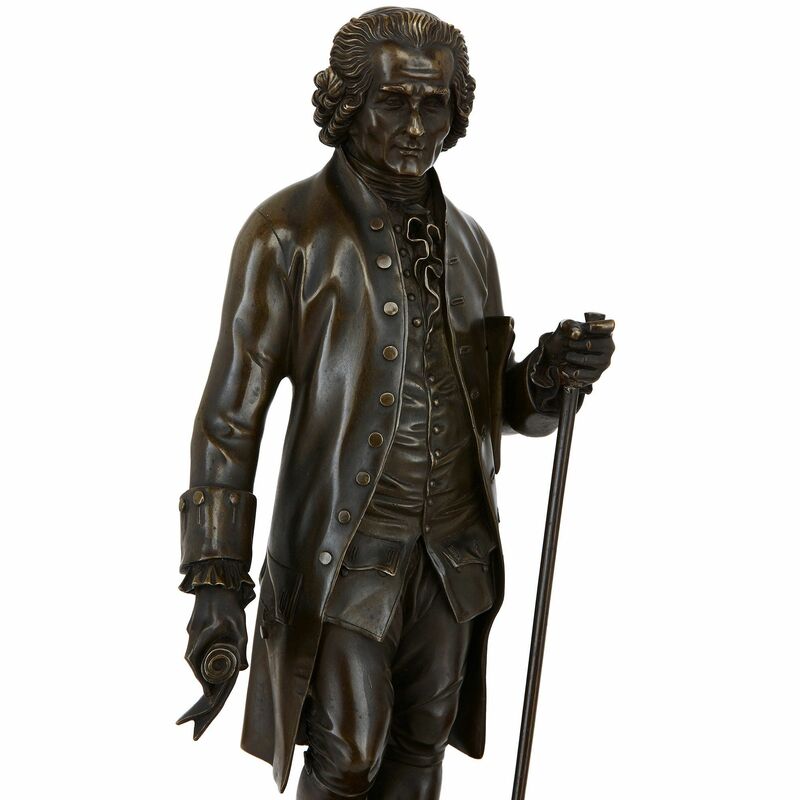 The Rosset family created several sculptures of Voltaire and Rousseau, which are now on display in many important museums, including the Metropolitan Museum of Art in New York, the National Museum in Stockholm, and The Walters Art Museum in Baltimore, Maryland. 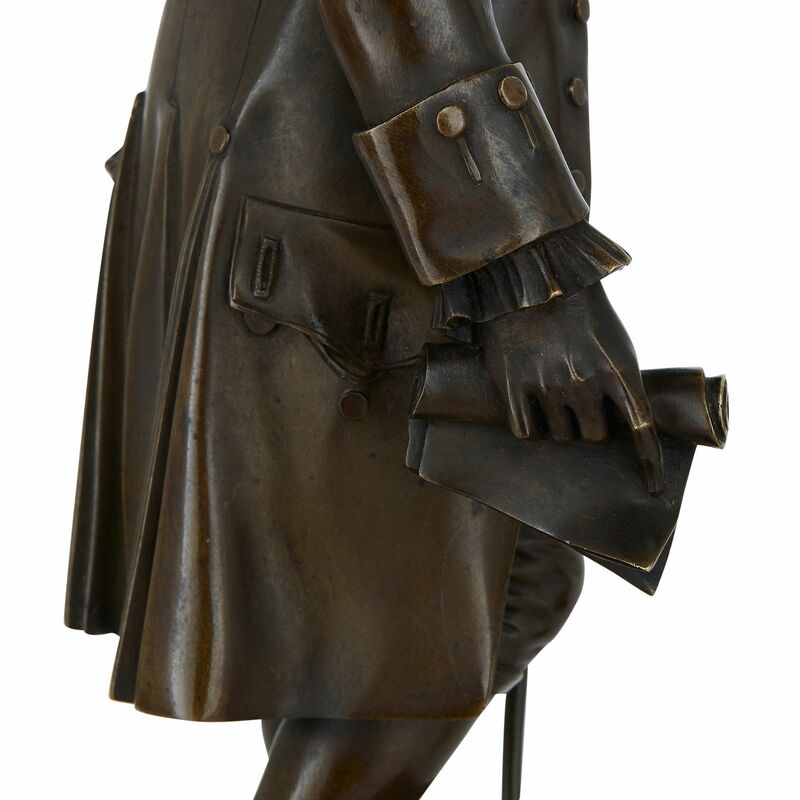 Rousseau is depicted holding a scroll in his right hand and cane in his left. He is dressed in leather shoes with heels, silk stockings, knee-breeches, a shirt with frills, waistcoat, and frock coat. Rousseau wears a wavy short wig and holds a hat under his arm. 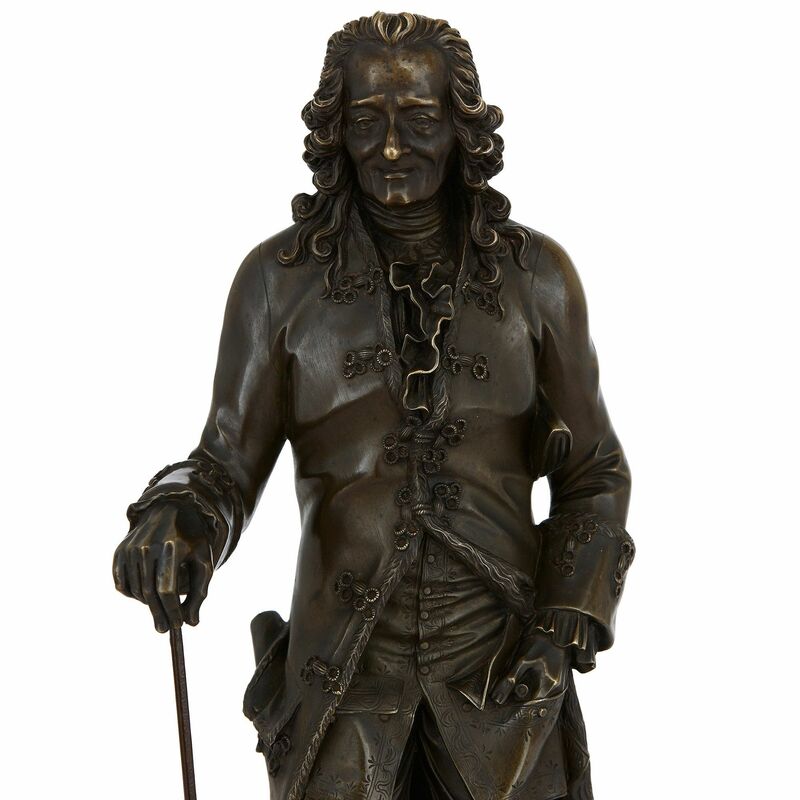 Voltaire is pictured with his left hand tucked in his pocket, and his right holding a thin cane. He is similarly dressed to Rousseau, only he wears a shoulder-length wig. 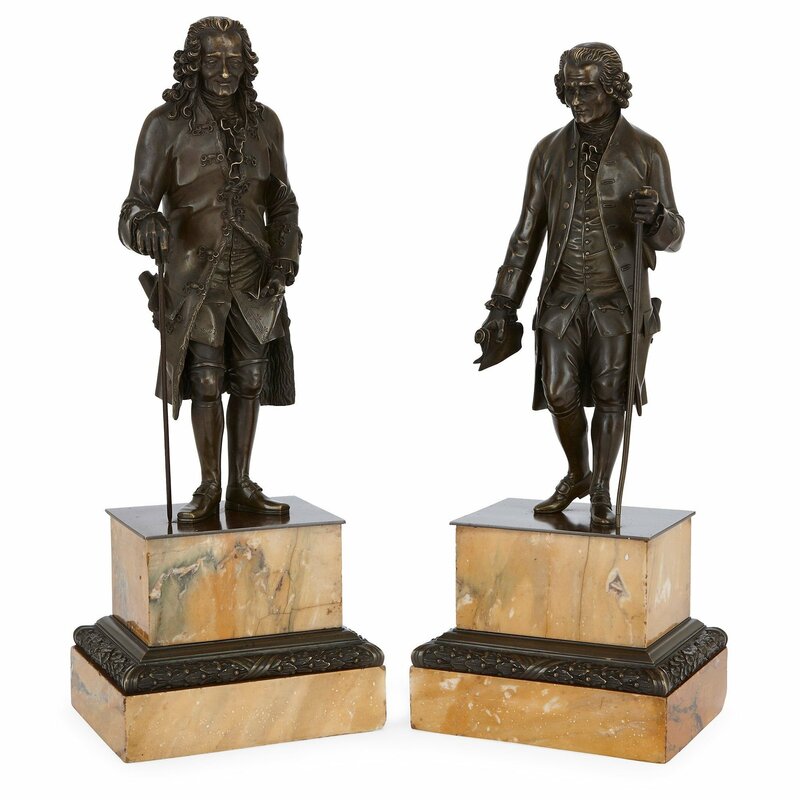 Both figures stand on stepped rectangular yellow marble plinths, which are mounted with patinated bronze laurel wreath bands.